Ammo rounds for 12.8 cm Pak 44/Kw.K. 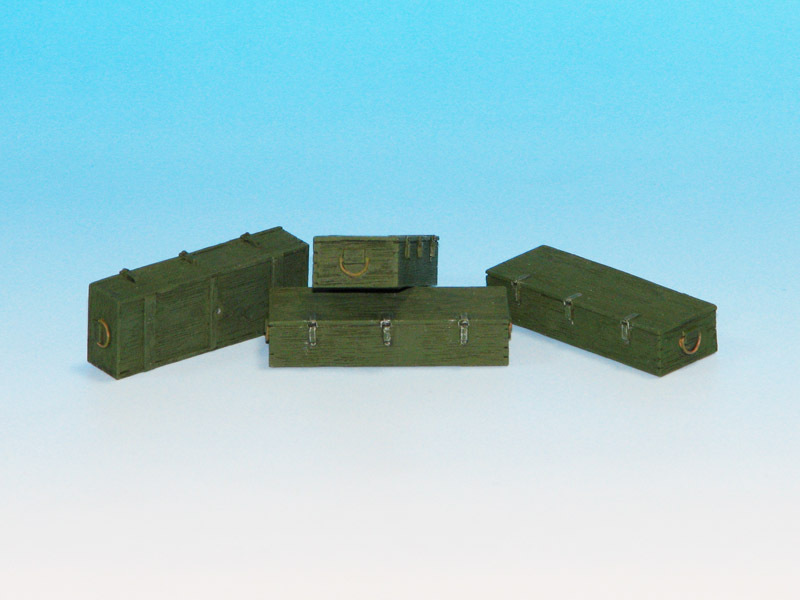 (Maus) guns were delivered in wooden boxes. You may see it on several photos with tank crews loading supplies from trucks and other munition transporters. 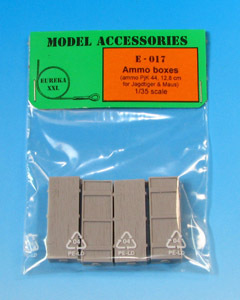 This set will improve your kit adding more realism to your diorama. 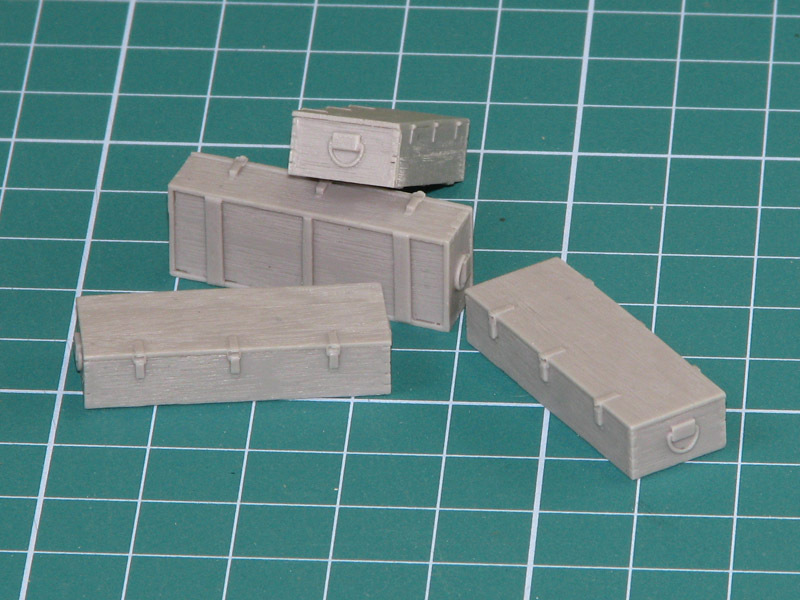 4 resin parts to make four wooden ammo boxes. 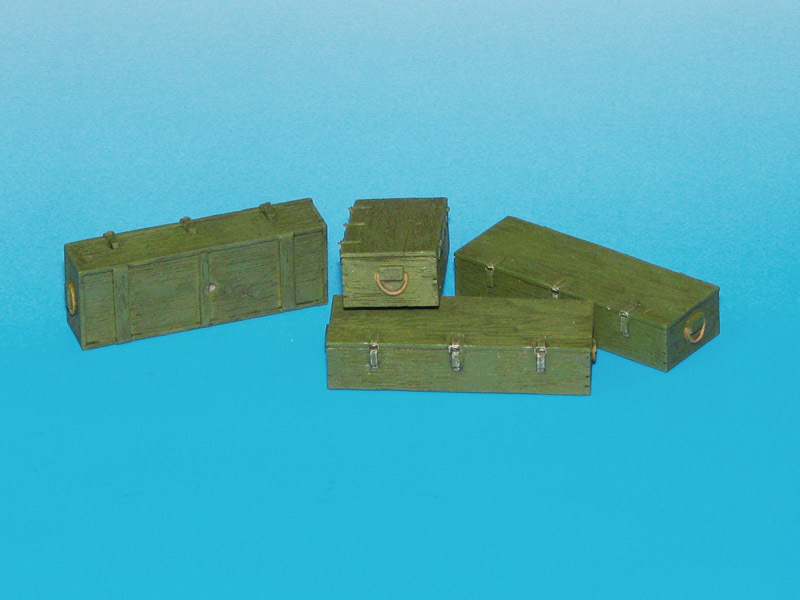 For detailed information how to paint these boxes please read following article in our “Tips and Tricks” section: How to make a resin German ammo boxes.